Enlightening talks.May God bless him. A frequent listener of Father’s talk, I have never come across such an inspirational, mystical and thought provoking speech. The language is lucid & flowery; anecdotes philosophy and thoughts spreads from contemporary poetry,film, drama to Ramayana, Purana, Buddha, Kabir, Sankara, Socrates, Sartre, Camus and Kahlil Gibran and what not. A great Pundit of our time. May the Good Lord give him many more years to inspire millions of souls. This is the first time I hear a Christian teacher interpreting the words of Jesus ” Do this in memory of me” so correctly and I am so glad. A Spiritual Banquet. May God blees him. Thru your “GURUCHARANAM” thoughts, you are creating a passion for mysticism is people. Thank God, for delivering you as a Prophet of this Era. I have seen Prophets like Mother Theresa (whom I had a chance to embrace) and Pope John Paul II. You are pobably the next to them. Blessed is the Womb that carried you and Blessed is the Parenthood that rendered you on the surface of this Earth. Let the Spirit of God deepens your depth of thoughts more and more so that his Living Word may become more and more living thru your rendering from time-to-time. Let God prosper you and prosper all who listen you. Thanks and Praise to the Holy name of GOD. There is no words to express my feelings about this talk …thank you father for giving such a wonderful message. Look forward to get more of them. I am regular listener of ‘Gurucharanam’ and it is a great source of knowledge and life inspiration.
. Please pray for me and my family. We are going through tough times, please remember us in your prayers.sijovarghese. pavaratty. 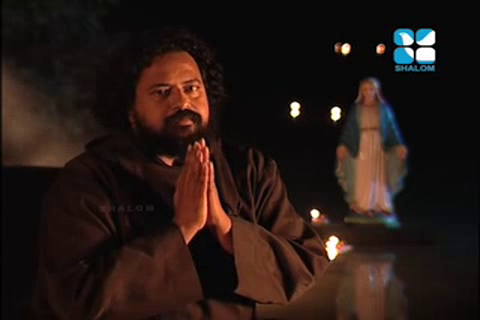 Jeevitha pathayil prakasamekunna prathyasayude ponkiranangal vitharunna gurucharanangal .thanks acha….thanks. I listen to your speeches regularly. Please pray for me and my family. We are going through tough times, please remember us in your prayers. Used to listen to you on TV very inspirational snippets thought provoking. Very meaningful and inspiring speeches is it available in English?